If you’re like many of us, you won’t have very much time to put your makeup on – and even if you do, you have a thousand better things that you would prefer to do with your time. With this being the case, you should put down your oval brush and silly sponge and take some time to read the tips below – as it will help you to cut down on the amount of time you spend applying and removing makeup, giving you much more time to do everything else that you would like to do. Although you should, of course, do a three step cleansing routine twice a day, the truth is that a lot of people just don’t have the time for that, and many choose to simply go to bed in their makeup instead. If this sounds familiar, and you know it’s something that you’re guilty of, then you should invest in lots of makeup wipes, and ensure that you take everything off your face before you go to bed. It is much easier than cleansing and, while cleansing properly is of course preferable, it is a better option than sleeping in your makeup, which can cause a lot of skin problems in the future. 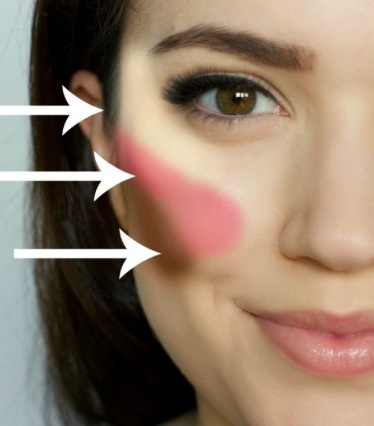 If you don’t have your makeup sponge to hand, or you can’t be bothered to use six different things to get the look that you want, try using your fingers to blend. You should make sure that you wash your hands before you start, and in between each product, to help you avoid spreading bacteria – but if you are feeling particularly lazy then there is nothing wrong with doing this every once in a while. Most of us will have lots of different things in our beauty bags, but we don’t always have the time (or the energy) to think about applying every single one of them. If this is the case for you, then there are some products that can do more than one job. For example, a lip tint can make a great blusher if you apply a little to your cheeks. Little tricks like this can save a lot of time. If you really don’t want to wear makeup, but don’t want people to ask questions about whether you’re feeling tired, then a tinted moisturizer really can save the day. If you smooth this onto your skin, it should hide any small blemishes or imperfections, and just means that you will be able to look bright and fresh without having to put on a huge amount of makeup. Generally, although we would all obviously like to look a million dollars at all times, the truth is that most of us don’t have the energy most of the time – and for this reason tips such as those above are ideal. This means that no matter how you’re feeling, there is no reason that you shouldn’t be able to look good at all times. ← Celebrity Perfumes – Actually Good, or Pure Hype?